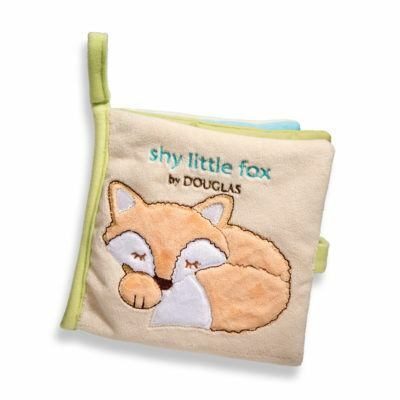 Shy Little Fox says chew (and snuggle) away! 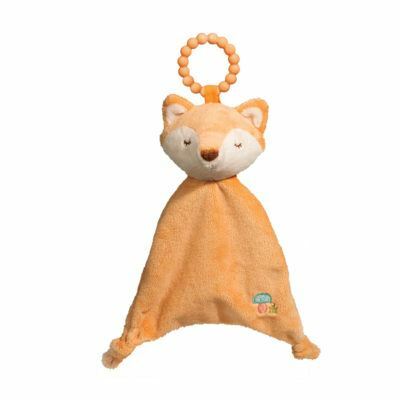 Luxuriously soft materials of our best-selling Sshlumpie with the added bonus of a teether ring built in! 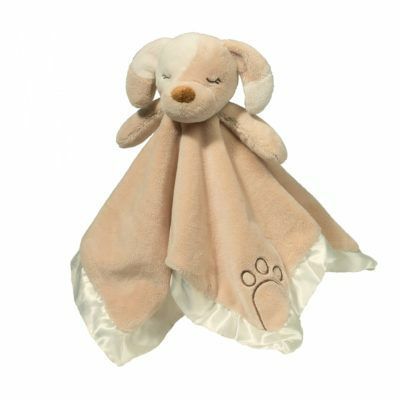 100% silicone is safe and soothing for baby. 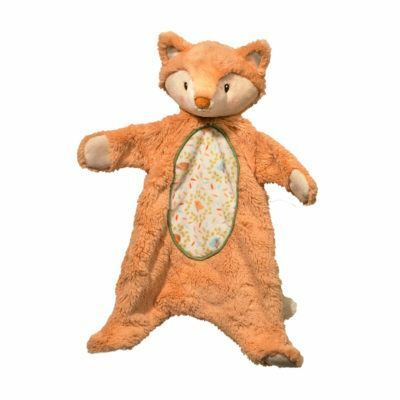 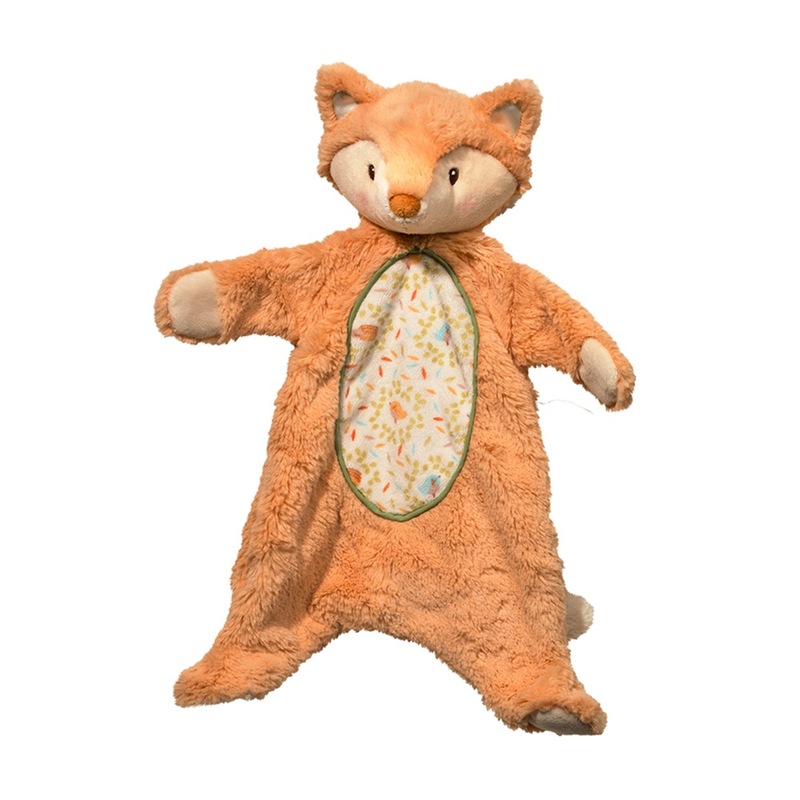 19" long Fox Sshlumpie is amazingly soft and cuddly! Sweet embroidery details and piping make our Sshlumpies a long-time infant and baby favorite! 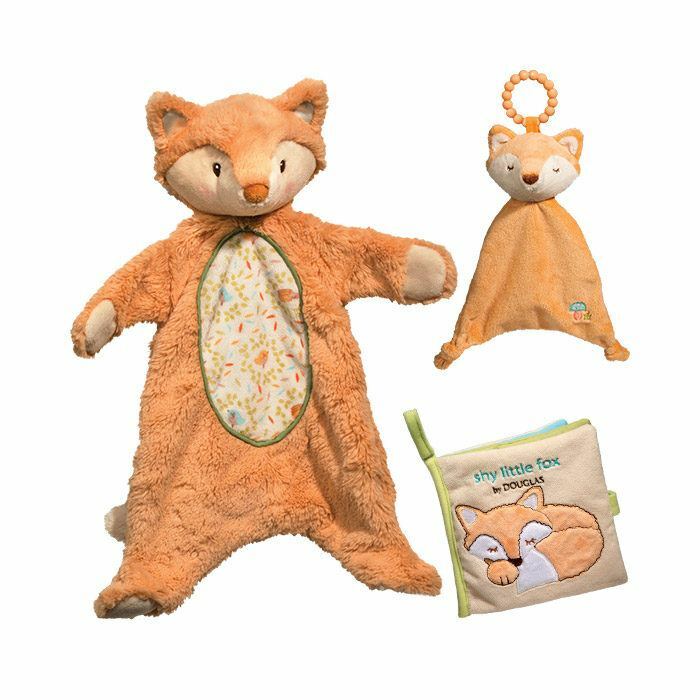 6" square Fox Activity story time soft baby book. 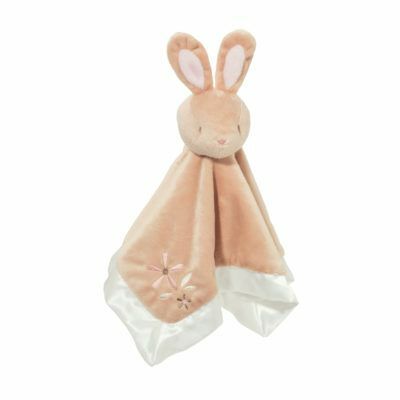 Colorful flaps, tags and soft mirrors, squeaks and rattles! 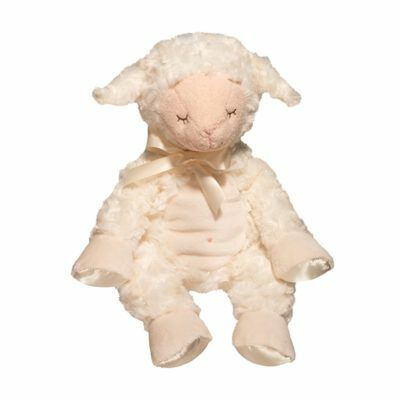 Sweet story makes a perfect sensory gift for baby!